For students of business and government, for those interested in the inside stories of the city's development, and for anyone who aspires to leadership, Passing the Torch is fascinating and important reading. 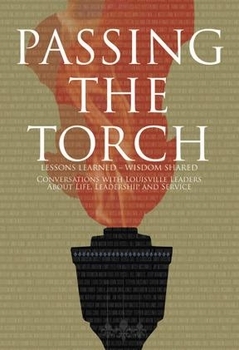 This historic collection of one-on-one conversations with 54 of Louisville, Kentucky's most influential and pioneering leaders is a treasure trove of wisdom and insight, featuring the life stories of many of the people whose vision and actions have shaped the course and destiny of modern-day Louisville. Through their candid stories and personal recollections, these leaders — from business executives to government officials to church ministers — pass down a lifetime of lessons learned and a well of universal advice about life, leadership and service.